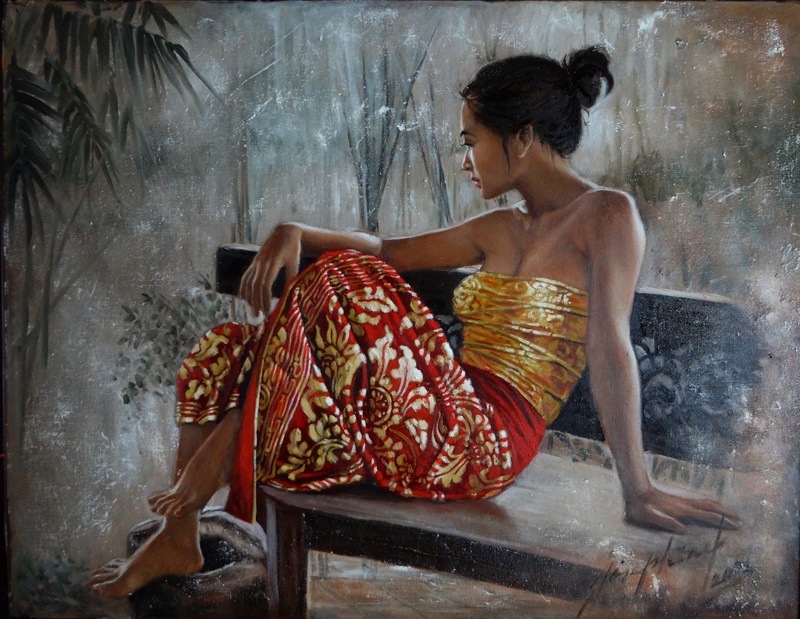 Josephine Linggar paints beautiful women. 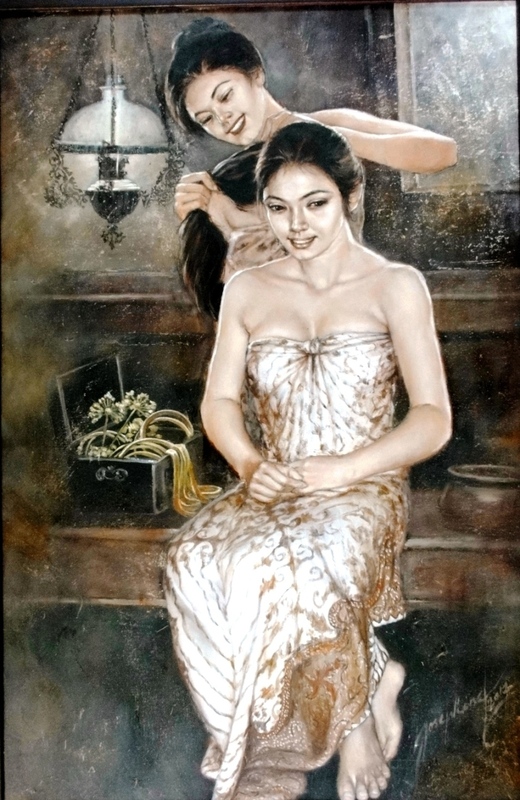 She is well-known for her elegant and enchanting portrayals of Indonesian maidens in serene and contemplative poses. Skilful brush-play of colour and tone bring light and life to facial expression, body contours and drapery. The mood and ambience of Josephine’s paintings are further enhanced with sepia tones or rich, vibrant hues of reds and blues. 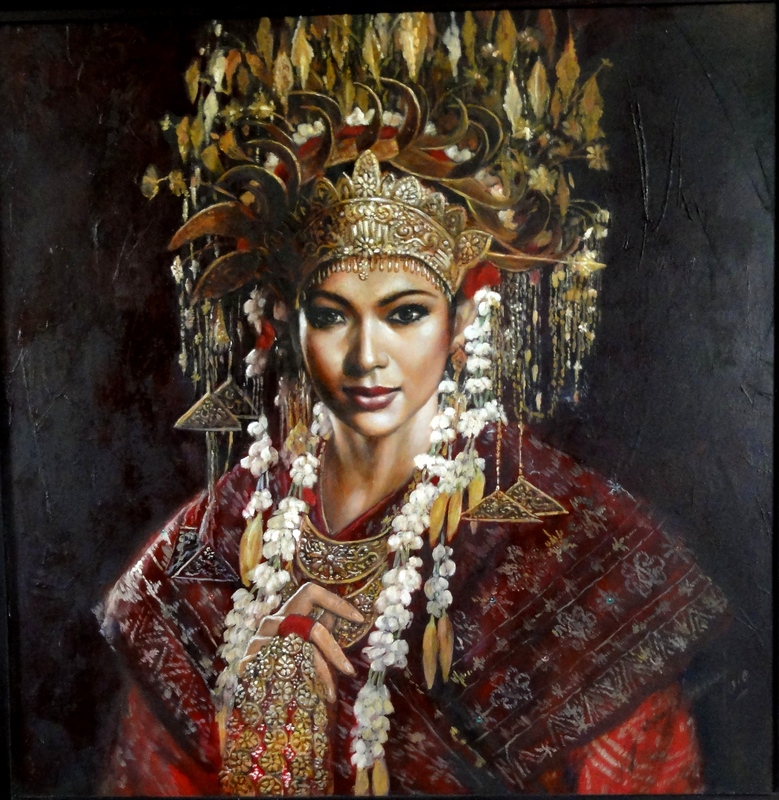 Josephine engages the viewer with her detailed attention to the textured richness and intricate patterns typical of Indonesian costumes and headdress. 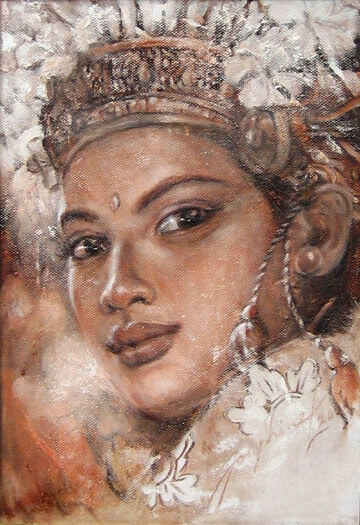 Her maidens are usually set in a montage of Balinese or Javanese gardens, temples, cultural ceremonies or backstage dance scenes which give life, movement and charm to each painting. “His sepia and brownish colours, the poses of the figures, are all very natural and thematic. Everything was simple but at the same time rich and elegant”. Born in Jember, East Java, 1943, Josephine started painting seriously in 1994. Since then, more than 500 of her paintings have been collected by art lovers in Indonesia and abroad. 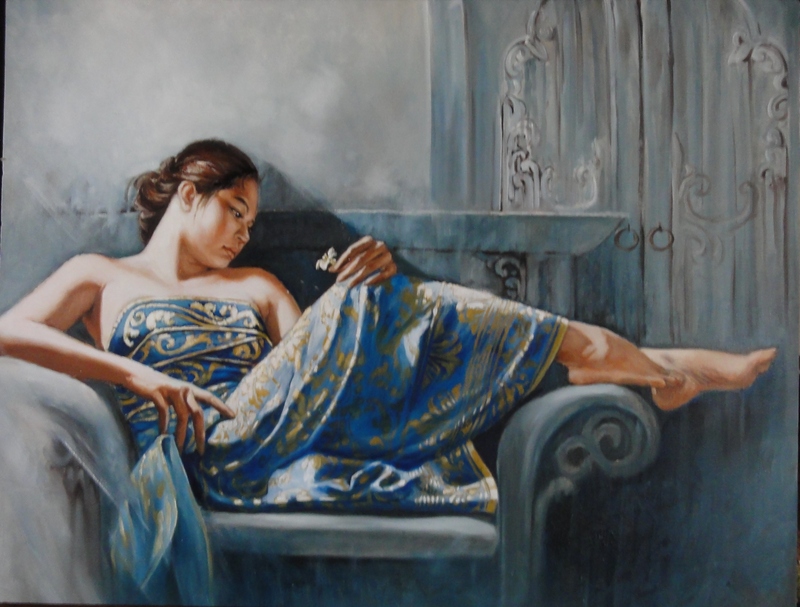 She currently paints full-time and lives in Jakarta. 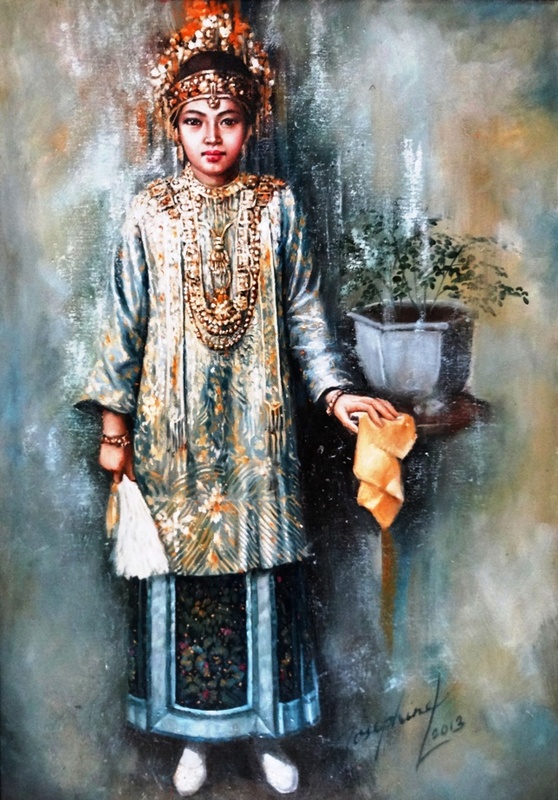 Josephine has the distinction of being specially commissioned by the Palace to paint the late Madam Tien Soeharto and also former Indonesian President, Mrs Megawati Soekarno Putri, when she was Vice-President of Indonesia in 2001. 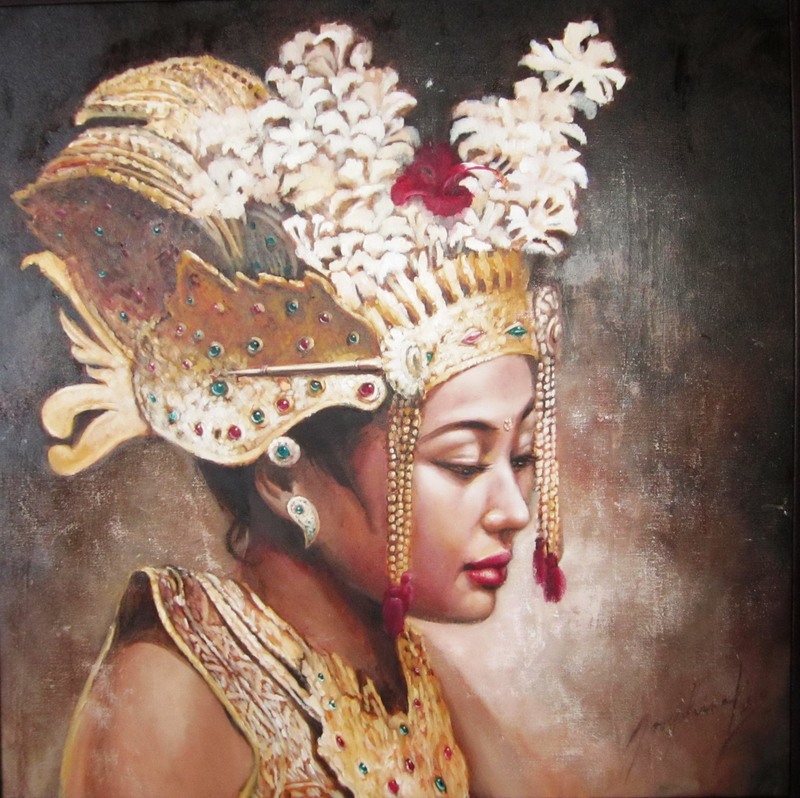 Some of her paintings have also been selected to be part of the collection of the Presidential Palace of the Republic of Indonesia. 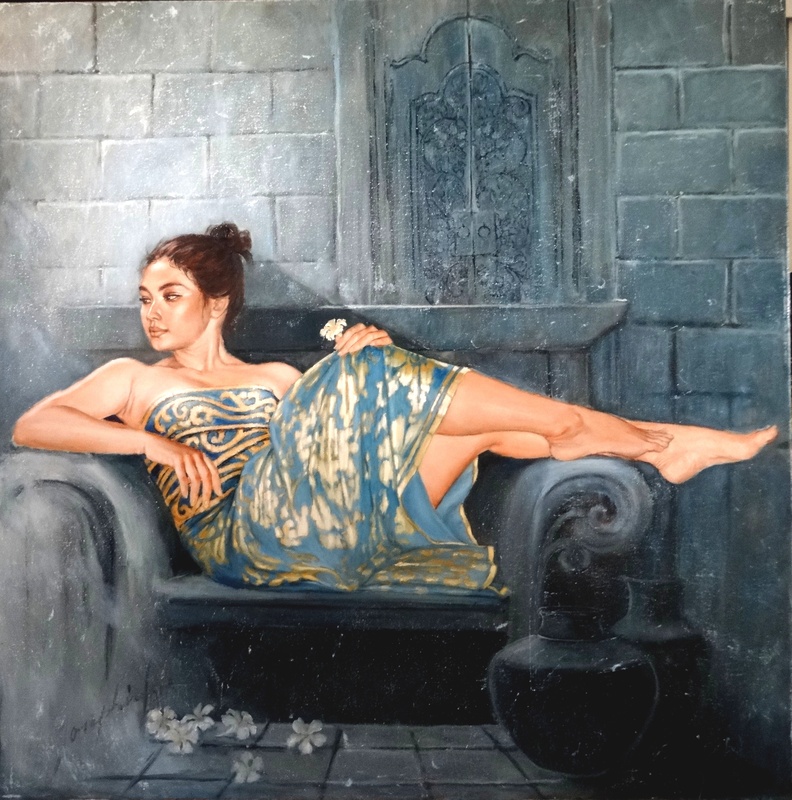 Josephine participates in many auctions by Borobudur, Larasati and Masterpiece Auctioneers in Jakarta and Singapore. In 2009, one of Josephine’s paintings, “Red Hibiscus”, was sold for SGD 201,000.00 at the “Gala of Hope” Charity Auction, organized by the National Cancer Centre of Singapore, in conjunction with their 10th anniversary. To date, Josephine has held 12 solo exhibitions in Switzerland, USA, Singapore and Indonesia, with the recent one being held at ION Orchard on 10th October 2014. She has also participated in numerous group exhibitions.